Robert Dale Taylor was born on April 3, 1939 in Metropolis, Illinois. The six foot one, right hand hitting Taylor was signed out of high school at age 18. He was a 1957 bonus baby for the Milwaukee Braves. Taylor originally was originally a catcher earning the nick name "Hawk" by the time he got to the big leagues. He debuted in 1957 in order to follow MLB's rules, going hitless in seven games. In 1958 he batted .293 in the lower levels of the minor leagues getting back to Milwaukee for just four games. The next season he hit .297 with 23 doubles at AA Atlanta & then spent all of 1960 at AAA Louisville where he hit 17 HRs with 80 RBIs batting .270. In 1961 he was up & down to the minors finishing out the year hitting his first career HR. It came in the last game of the regular season, tying up the ball game with the San Francisco Giants in the bottom of the 9th inning. He hit .255 (12-47) appearing in twenty games in 1962, the best average he had in his seasons in Milwaukee. 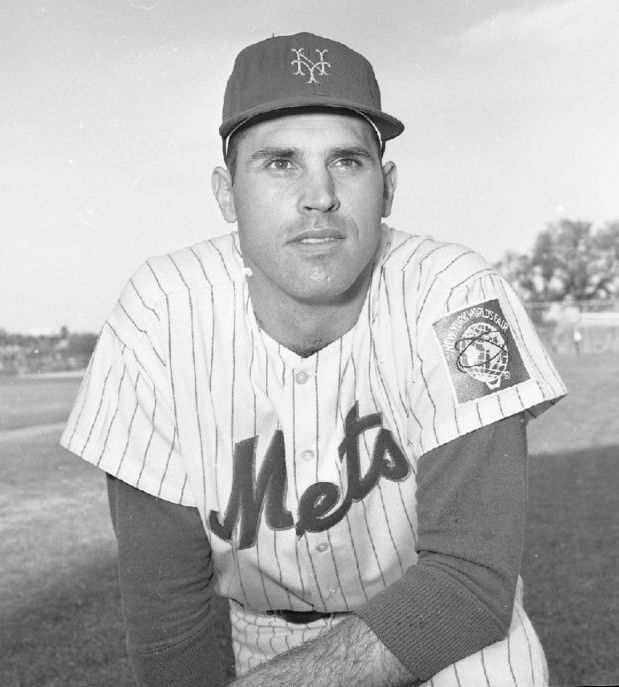 After playing in just 16 games batting .069 in 1963, his contract was purchased by the New York Mets that December. 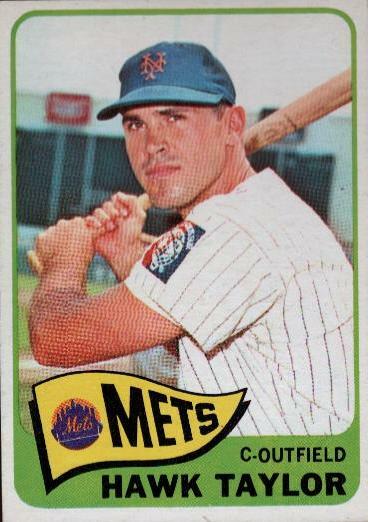 Hawk made his Mets debut, as the Mets 1964 Opening Day catcher at Philadelphia. In the 5th inning he singled driving in two runs in the Mets 5-3 loss. 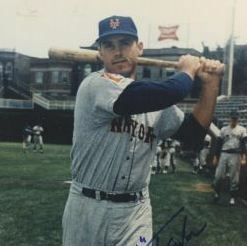 In the first game ever played at Shea Stadium, Taylor appeared as a 9th inning pinch hitter, striking out against the Pittsburgh Pirates Bob Friend. 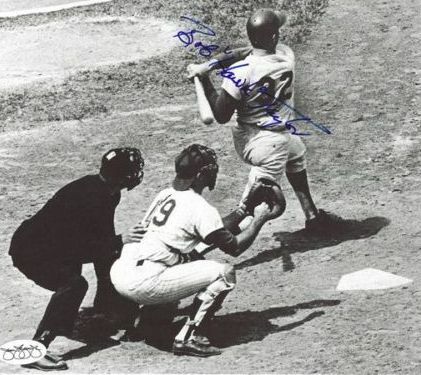 In Shea Stadiums second game, he replaced Jesse Gonder behind the plate in the 7th inning, In the 8th inning he drove in two runs with a double, although the team lost 9-5 to the Pirates. On June 20th in a game against the Philadelphia Phillies at Shea Stadium, Hawk had a career day. He replaced Chris Cannizzaro at catcher, after he got injured early in the game. Hawk went on to have a four hit day hitting a pair of two run HRs, helping the Mets to a 7-2 victory. At the end of July he closed out the month with a three run HR against the Los Angeles Dodgers Hall of Famer, Sandy Koufax. He came back with another HR the next day against the Astros in Houston. Those were the only four HRs Hawk hit all year, playing in 92 games he batted .240 with eight doubles a .272 on base % & 23 RBIs . Behind the plate in 45 games, he threw out 40% of would be base stealers posting a .981 fielding %. He also made just one error in 16 games as an outfielder. In 1965 Taylor played in just five games in April. Then he hit four HRs in May playing in 13 games, including a pair off future Met Ray Sadecki on May 23rd in a 8-7 loss to the Cardinals in St. Louis. Other than that he struggled at bat hitting only .152 through June 13th. At catcher behind the plate he only threw out two of the sixteen base stealers attempting to steal on him. He was sent down to AAA Buffalo, hitting ten HRs with 32 RBIs the rest of the 1965 season there. 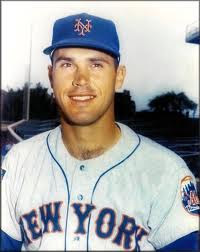 In 1966 he started the year at AAA Jacksonville returning to the Mets in May, he would play 53 games in New York the rest of the season. On June 13th Taylor hit a three run HR off former Mets pitcher Al Jackson, while helping the Mets to a 5-3 win over the Cardinals at Busch Stadium. On August 17th, he hit the first pinch hit grand slam HR in Mets history, coming off Pittsburgh’s Bob Veale at Shea Stadium in a Mets 8-7 win over the Pirates. On September 16th he singled home the tying run in the bottom of the 9th inning off San Francisco Giants pitcher Jack Fisher. The Mets scored two more times that inning with the help of Bud Harrelson's triple & then a steal of home plate. The Mets went on to win the game 5-4. Hawk finished the year with three HRs a pair of doubles & 12 RBIs while hitting just .174. In 1967 Hawk was batting .243 after 13 games when he got traded to the California Angels for Don Wallace. In 128 games at the AAA level in 1968 he hit 22 HRs driving in 61 runs. hitting 22 HRs in the minors, he spent the rest of the 1968 season in Southern California. In 1969 he was drafted away by the expansion Kansas City Royals becoming an original Royal in their inaugural season. Hawk was mostly used as a pinch hitter in Kansas City, batting .270 with three HRs, five doubles & 21 RBIs. He was sent to the Boston Red Sox in 1971 but never came back to the big leagues finishing out his career in the minors. Retirement: After an eleven year career Taylor hit .218 with 158 hits 16 HRs, 25 doubles a .313 on base % & 82 RBIs in 394 games played. After his playing days he went to Murray State University & earned a Masters Degree. Taylor then became a college coach at three different schools. 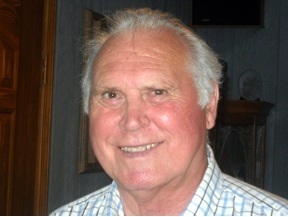 Passing: In June of 2012, Taylor passed away after a battle with cancer, in Paducah Kentucky, he was 73 years old. Hawk Taylor did not die of cancer. On the early morning of June 8th, he had fall at home and bumped his head, he went back to bed and never woke up the next day. The impact had caused bleeding in the brain and left Hawk in a coma, by the time they arrived at the hospital there was no realistic hope of saving him. Hawk will be missed by many.